Yesterday Australia woke up to the sights and sounds of The Dead Daisies in more ways than one. 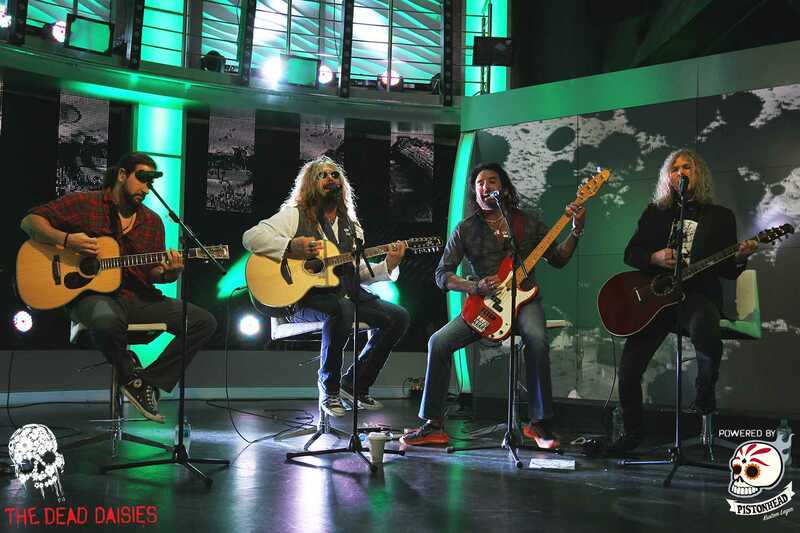 First the band appeared on The Morning Show in Sydney where they performed a rendition of ‘Empty Heart’ the current single and duet with Aussie superstar Jimmy Barnes – Official featuring Marco Mendoza Fan Page on vocal duties for Jimmy’s part. After a short interview talking about the album, song and trip to Cuba, the band headed for the rehearsal studio. Continuing the preparation for the KISS tour, they finished pulling a set together that audiences will love starting in Perth on Saturday night. Late afternoon it was also announced that Revolución has made a big impact in Australia debuting at #5 on the Carlton Dry Independent Album Chart, the highest new entry for an artist this week across both the full-length and singles ladders.